ZTE looks to bring out a phone that can match the level set by Samsung and Apple in terms of design with the Grand S. We have never had ZTE out to be a top-end phone developer, more a low-end developer that makes phones en mass for developing countries. The Grand S will be the quote “slimmest” 5 inch smartphone available, according to ZTE. At 6.9mm thick, it certainly is a slim device and the phone looks great from the preview snaps we have seen. ZTE doesn’t just plan to win over buyers with their slim design though, they are packing the Grand S to be a top of the range performer. The processor is the well known Qualcomm quad-core Snapdragon S4 Pro, a processor that has been fitted on many top of the range mobiles. To support the processor, ZTE are fitting the Grand S with 2GB’s of RAM and we suspect it will come with a small single core graphics processor to make graphics and gaming easier. The Snapdragon S4 Pro is usually fitted with a standard GPU. ZTE has not added anything else about performance and has yet to say what display they will be using. With the new full HD displays coming out on some top-end phones, we may see ZTE join the trend with the Grand S.
Battery life is the only other feature ZTE have released on the Grand S. A 2,500 mAh battery will be fitted into the smartphone, but with a 5 inch display and 2GB’s of RAM, it may not be enough to fuel the behemoth for more than a day. 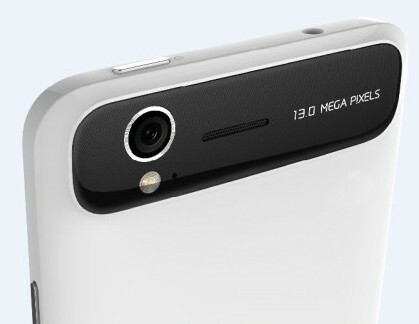 ZTE are going to release more specs about the Grand S and CES 2013, this January. We suspect that the display and operating system will be the two features of most importance, unless ZTE have something hidden up their sleeve. CES 2013 is looking to be a big conference, with both Samsung and LG looking to show off their new displays.